Well, another big permit haul over the past few days. First, we'll cover Project 766 which has gotten some traction from Hatetofly. 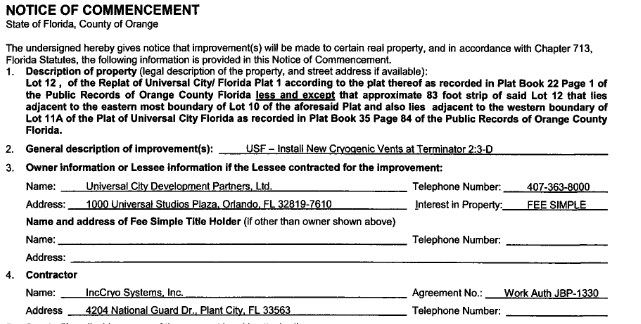 From what we've discovered on the water management site, this project is for improvements to the TM parking area behind Universal Studios Florida. 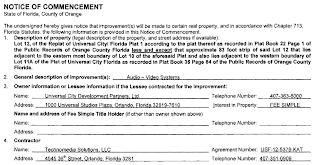 The documentation about the project calls out a past permit and project detailing parking improvements. 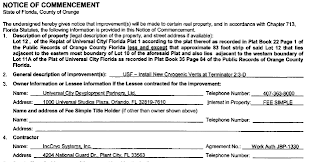 The 766 documentation says that past project is part of this project as well. While HTF is a very solid source, there's nothing in the permits that has us getting our hopes up for a new attraction out of this. Moving on to some more interesting matters, the two notice of commencements below detail updates coming to Terminator 2 3D. These updates have been in the planning stages for a while now, with both Martin Smith and Hatetofly both saying they were on the way. Looks like AV upgrades as well as replacing the smoke/fog effects for the attraction are in line. 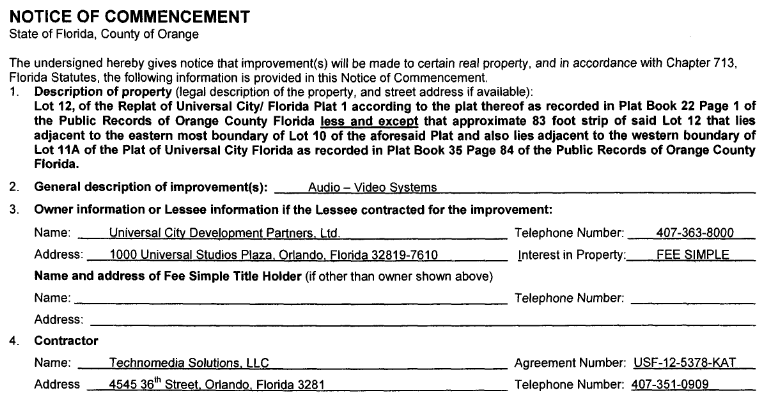 Also, looks like there will be yet another major project for Universal CityWalk coming to close out 2013. On top of the Projects 102, 294, and 208 which Park Rumors documented here, there will now be a Project 248, which includes interior and exterior demolition. There is both a NoC and Permit for this one. As always,please follow @Parkscope for up to the minute details.